I qualified for another VoxBox from Influenster and it was for more hair care products from L’Oreal. Last spring they sent me the Fibralogy Line and didn’t really like it and I still have the half used bottles under the vanity. The line is very affordable, the shampoo and conditioner are about $5 at Wal-Mart. The hair oil is about $7 I believe, which is a steal. 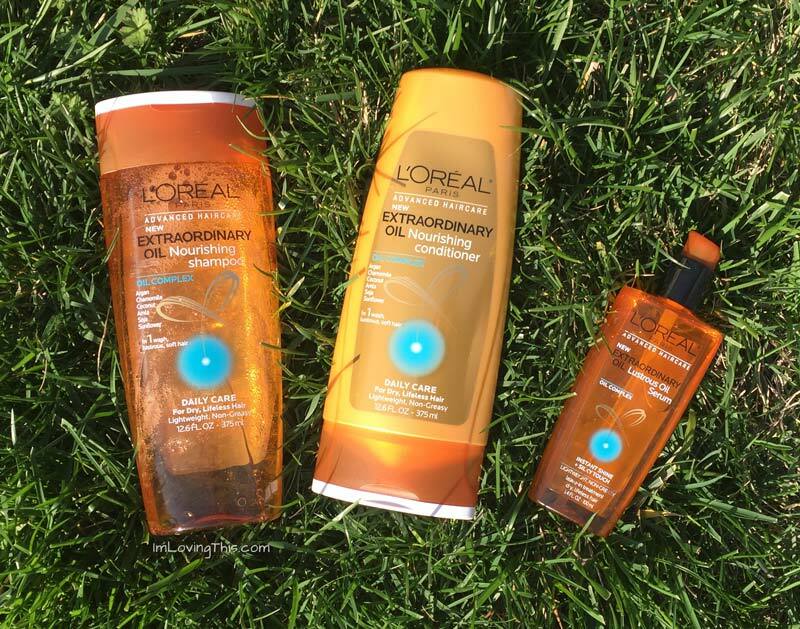 The L’Oreal Paris Advanced Haircare Extraordinary Oil line smells great! The scent reminds me of the Clairol Hair Food Moisturizing Hair Mask which I’m a big fan of and always keep in my shower. I’m not even going to try and describe the scent cause I’m horrible at that, just smell it next time you are at the store. I find that the scent lingers in my hair throughout the day which is nice. The shampoo lathers really well, don’t need to use much of it. I use about the same amount of conditioner as usual. The conditioner leaves my hair feeling very soft and smooth after I rinse it out, which is always a good sign because my hair tangles like crazy. The L’Oreal Paris Advanced Haircare Extraordinary Oil Hair Serum is alright, I wasn’t expecting much. I find myself reaching for it even when I’m using other brands of shampoo/conditioner. You don’t need much of the oil, like most oils, if you overdo it you’ll be a grease ball. I still prefer my Orofluido hair oil. But the L’Oreal one is a very good drugstore brand hair oil and I’d recommend it if you are looking for a less-expensive oil that works. It gives my hair added shine and smooths down hair which can get frizzy. It does what it claims. Overall, I really like this line and I’d purchase it myself in the future. It really does what it claims and leaves my hair feeling extremely soft and smooth. I recommend trying it out if you are looking for something new, my brother’s girlfriend even bought it when she smelled my bottles. If you try it let me know what you think of it in the comments below.